Southern shore. “Calypso”, the Elefant’s Cave. 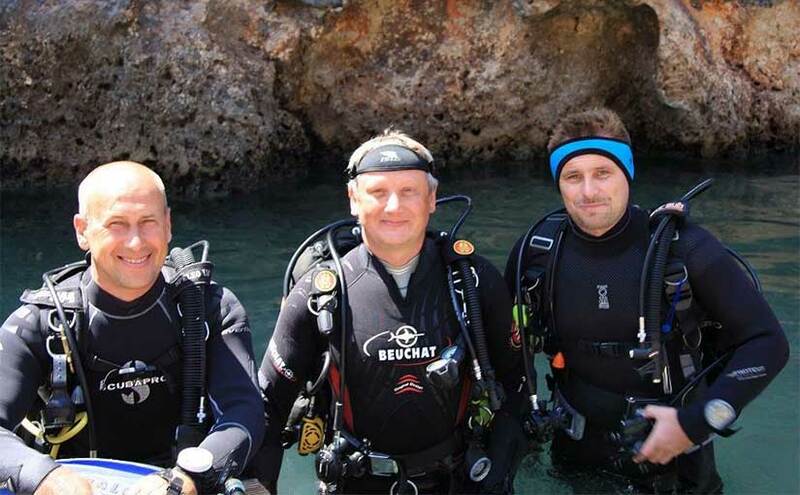 A day tour for scuba diving beginner with experienced guide in complete safety. You shall have a fantastic underwater journey. The beautiful cove in Lybian Sea is waiting for you. The place is very convenient for family tour and has all facilities. While divers dive, rest of the family can enjoy the hotel, spa, restaurant, pirate ship and trampoline in the pool! For experienced divers we offer unforgettable dive to the underwater Elephant’s Cave (dive from the boat). This is one of the world outmost scuba diving wonders. Scuba diving for kids – BUBBLE MAKER – €65 – for kids from 8 y.o.